Everyone has had an unwanted blemish on their face at one point in their life but there are some people who are plagued on a regular basis with nuisances such as pimples, blackheads, milia, cysts and the like. While some of these acne conditions are hormonally based, there are some things that you can do that will help to keep the condition under control. I have listed some acne control tips and a home care routine to follow in order to keep your symptoms at bay. -Change your pillow case every night. This may seem a tad much but the oils and debris from your skin and hair can be trapped in pillowcase fibers and get into your skin causing clogged pores and infection. If your skin is particularly sensitive then you may want to switch to a satin pillowcase. Satin fibers are more gentle to the skin than the fibers in cotton or other blends. -Go to bed with clean hair, the oils and dirt in your hair can be transferred to your skin while you sleep. If you prefer to shower in the morning, pull long hair up into a ponytail so that you are less likely to lay on it while you sleep. -Always wash your hands with anti-bacterial soap and be sure to scrub under your fingernails where bacteria can hide before touching your face for any reason. Do not rest your head on your hands. -Be sure not to let the telephone touch your face. The telephone is a breeding ground for the germs and bacteria that cause acne. Clean your phone often with alcohol or anti-bacterial wipes in case your face rests on it accidentally. -Do not wash your face too often, this can strip your skin of needed oils, spread infection and make acne worse. Wash your face in the morning before applying moisturizer/make-up and also at night before going to bed. Sleeping with a clean face is important because this is the time when your skin is healing and repairing. If you do something strenuous such as exercise which causes you to excessively perspire you can wash after. -Do not pick at your skin especially with dirty hands and fingernails, this can spread infection. If you absolutely must extract on your own please ask your Aesthetician the safe proper way to do it. 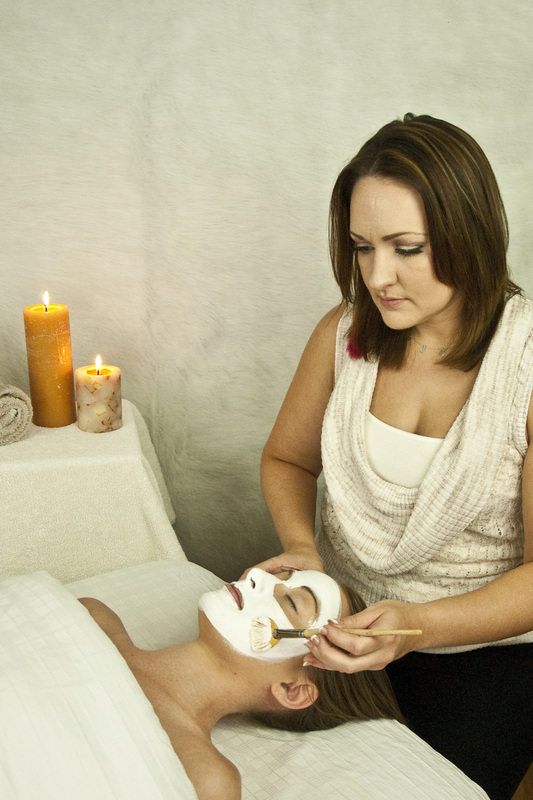 It is better to just wait and receive extraction during you facial services. -Reduce your salt intake, excess salt in your diet can flare up breakouts. Foods that contain large amounts of salt are cheese, diet soda, processed food and prepackaged meals. -Ladies, keep all make-up applicators and sponges clean by washing them at least once a week with anti-bacterial soap. If possible, use a new disposable applicator every application. Do not apply make-up to skin that is not clean and do not perform strenuous tasks such as exercise with make-up on your skin. I also recommend that you follow a good home skin care regimen. This is very important in keeping acne under control and can stop the spread of bacteria and infection. Wash your face with the appropriate, gentle, non-foaming cleanser. The use of harsh cleansers such as “deep pore cleansing acne cleansers” will strip the delicate acid mantle of your skin leaving it vulnerable to infection and dehydration. The purpose of cleansing is to remove excess oil, dirt and make-up, there are some oils and healthy bacteria that live on and protect the skin that would be disturbed by harsh cleansing. The use of a bar of soap of any kind is not recommended either not only because detergents can strip the skin, but also because the bar often sits in a pool of bacteria filled water. Tone the skin with an alcohol free toner to bring the pH back to the correct level, remove any debris left over from the cleansing process and tighten the pores. Damp skin also accepts products better. Use clean cotton pads to apply toner to the entire face and neck. Moisturize your skin with the appropriate non-comedogenic (does not clog pores) moisturizer every time you wash your face. A lot of acne sufferers don’t like this important step because they feel that their skin already has enough oil, but dehydration can be the reason for some of the overproduction of oil. Your skin needs this protective barrier. Apply sun protection in the morning. There are many non-comedogenic verities to choose from. Gently exfoliate once to twice a week. Exfoliation helps to remove unwanted dead skin from the surface of the face. When the skin is not exfoliated properly the dead skin can cause an unwanted dingy barrier on the face which can lead to more clogging of the pores. Clean exfoliated skin accepts moisturizers and treatment creams much more easily. Be sure that the exfoliant you use is very gentle and if it contains manual pieces, that they are perfectly round. Jagged pieces such as those from nuts and ground up pits can be very irritating and cause microscopic tears in the skin. 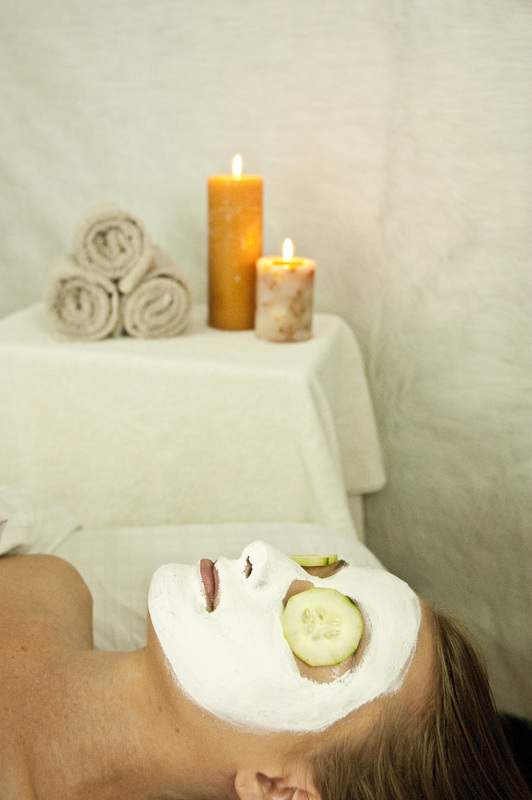 Apply a mask after exfoliation, the appropriate mask will help to boost the effectiveness of treatments to your skin. Specific treatment creams, oils and serums can be applied to the skin every day to boost acne control. Sebum reducing serums can be applied under moisturizer to help balance the skin. Essential oils known for their anti-bacterial properties such as Tea Tree and Lavender can also be used under moisturizer or as a spot treatment. Following these suggestions and receiving professional facials on a regular basis can help to keep the symptoms of acne at bay but if you have tried all of these and still suffer, there are some cases that will need to be treated by a Dermatologist who can prescribe oral and topical antibiotics although I feel that this should be a last resort. As I mixed and blended the ingredients for all the festive foods I prepared this holiday season, it made me think of all of the healthy benefits these treats would bring. There is a good reason that some of the same herbs and spices you find in your kitchen cupboard can also be found packaged for medicinal purposes. There are many health benefits that come from these tasty ingredients including anti-oxidant and anti-inflammatory properties and cancer fighting effects, to name a few. 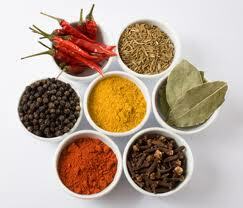 Here is a list of just a few of the most popular herbs and spices and the benefits they provide. Cinnamon – This spice can lower blood sugar, triglycerides, LDL and total cholesterol and has properties that are anti-inflammatory and can improve circulation by thinning the blood. It also contains compounds that can relieve pain and act as a sedative. 1/2 a tsp. is recommended 2 times a day. Tumeric – Contains compounds that can inhibit the growth of Cancer cells. 500-800 mg recommended daily. Rosemary – Helps to stop gene mutations that could lead to Cancer. The herb also helps prevent damage to blood vessels and reduces inflammation in the body. Garlic – Destroys Cancer cells and disrupts tumor cells. Just 1-2 cloves a week can provide Cancer protection benefits. 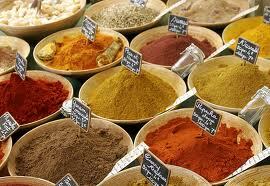 Paprika – Contains compounds that are anti-inflammatory and anti-oxidant. Ginger – Helps with nausea and stomach discomfort and aids in digestion. Ginger can also help to relieve the pain and swelling associated with arthritis and can thin the blood. Just one tsp. is equal to the anti-oxidant levels of one cup of spinach. 500-2,000 mg recommended daily. Oregano – It is believed that oregano has one of the highest anti-oxidant levels of many fresh herbs. Just 1 tsp. is equal to the anti-oxidant power of 3 cups of chopped broccoli. Red Pepper (Cayenne) – This truly “spicy” spice can enhance metabolism, increase feelings of satiety and promote fat burning. Cayenne can also lower blood pressure, triglycerides, LDL and improve circulation. T hyme – This herb has anti-oxidant properties and can aid the respiratory system especially those weakened by chronic bronchitis and asthma. Thyme can also ease menstrual cramps and has antiseptic properties. Cloves – This spice has anti-inflammatory effects that can help arthritis and helps to stimulate digestion. Clove oil can be used to relieve a tooth ache and is a good mouthwash. Cumin – Acts as an immune-system booster and helps asthma. 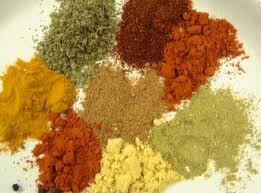 Cumin is a stimulant and aids in digestion and digestive disorders. It also aids the liver in detoxification and is extremely high in Iron. These are just a few of the most popular herbs and spices but there are many, many more out there containing many similar health enhancing benefits. You can choose to buy your helpful herbs and spices in capsules for medicinal benefits but it is just as beneficial to get them from your food. 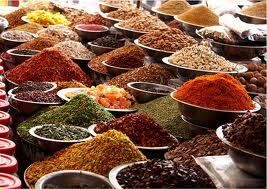 Add a little spice to your life and sprinkle some healthy flavor in all of your favorite dishes. Massage has so many benefits not only physically but also mentally and emotionally. Human touch is very important, it can relieve pain, reassure the timid or meek and calm the anxious. No one should be left out of the opportunity to receive a healing therapeutic massage though there are some people who choose not to because they are shy or they simply feel unworthy or embarrassed. Since everyone can benefit from professional massage, we Massage Therapists want to make sure that no one misses out which is why we approach each and every client with respect, acceptance and non-judgement. Listed below are a few of the reasons that people may shy away from massage and an explanation as to why they should open up and give it a chance to receive the numerous benefits it will bring. 1.) Some people are shy about taking off their clothes for a number of reasons from a very modest up-bringing, religious views or in some cases because they were a victim of sexual assault. There are many ways that you can enjoy a massage without the worry. One way is to have a Chair Massage, you can receive a fully clothed, full body massage in a specially designed massage chair which can relieve the anxiety of taking off your clothing. Although Chair Massage is generally offered in public places such as malls, airports, etcetera, you can make a special request to receive a chair Massage in the comfort of a spa or in your own home. There is also a misconception that you have to remove all of your clothing to receive a massage, there is no rule that says that you have to take off all of your clothing. Undergarments such as bras and underwear can be left on to make you more comfortable. It is important to note that whether you remove all of your clothes or not, at no point during the massage treatment will you be inappropriately exposed. 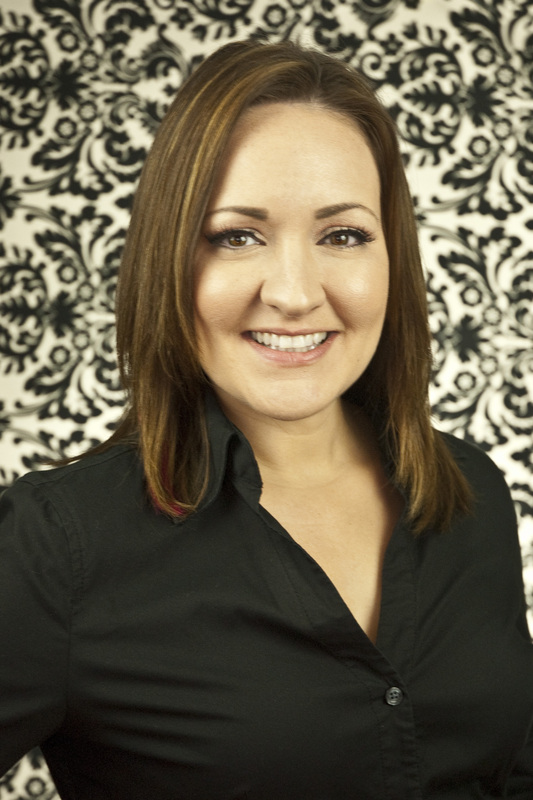 An experienced Massage Therapist is specially trained to drape each client with great care and respect. 2.) Another reason that people may shy away from massage is that they feel their body size precludes them from having a professional massage. Whether they feel that they are too thin or too heavy, it is important to know that their Massage Therapist passes no judgement on them. An arm or leg is no easier or harder to massage due to its size. Only one body part will be exposed at a time and all others will remain safely covered. 3.) One last reason that a person may choose not to receive a professional massage is because of a skin condition or excess body hair growth. There are many skin conditions such as Psoriasis, Eczema, Vitiligo, excess moles or skin tags that are non-communicable and perfectly safe to massage. As long as a skin condition is not contagious, there is no worry. If excess body hair is a concern, the Massage Therapist will need to use a little extra massage cream or oil otherwise there is no difference from a typical massage. Remember that your Massage Therapist has probably seen it all and are more people out there like you than you may think. It may seem redundant but I would like to stress that you will not be judged or inappropriately exposed at any point during your massage treatment. Your Massage Therapist is experienced and has probably dealt with an issue similar to yours before and is more concerned about your comfort, health and well-being. Above all else remember that during your massage session you are in control and can choose to end the treatment at any time if you are feeling uncomfortable. You may even choose to have your Massage Therapist focus on areas such as your scalp, hands and feet which may feel less vulnerable but can still provide you with tremendous stress relief. If you are very reluctant, then a large spa may not be where you want to receive your first massage treatment. A Massage Therapist with an independent practice will be able to spend more time and attention one on one with you and you can establish a relationship which can contribute to more comfort. Don’t let yourself miss out on this healing, stress relieving experience. Winter is just around the corner! When it gets cold outside we turn up the thermostat and curl up in front of the fire in our favorite blanket but all of this heat can reap havoc on our skin. While turning up the heat can give you a warm and cozy feeling, it can also dehydrate the skin leaving it dry, itchy, flaky, red and in some instances even crack. Indoor heating is necessary to prevent us from feeling like we live in an igloo but it acts like a gigantic blow-dryer throughout the entire home. (Think about the purpose of a blow-dryer for your hair.) Since you can’t totally forgo heated comfort, there are some things you can do to make your skin healthy, hydrated and looking great. 1. Heal from the inside. You should start by making sure you are healthy from the inside since organs like the kidneys and liver can have more to do with the health of your skin than anything you put on it. The most important thing you can do is drink plenty of water. If you are not a huge fan of H2O, flavor enhanced waters and juices are good ways to hydrate. Soup is another good source of water (and oh, so good on a cold winter night) but just make sure that the sodium content is not too high. Remember that drinks containing caffeine and alcohol do not count toward water consumption since they are diuretics and actually leech water from the body. You may want to up your consumption on days when you will be consuming these beverages. Also make sure you are eating a well-balanced diet. I’m not saying you can’t enjoy pizza and wings while watching the game, just make sure you get plenty of the foods that contribute to a healthy body and skin. Fruits and vegetables contain an array of vitamins and minerals and also have a high moisture content. Foods containing EFA’s are also important to the health of your skin, essential fatty acids can not be manufactured by the body so we must eat foods containing them to keep our cells healthy and functioning properly. Statistically 99% of Americans do not get enough omega 3 fatty acids so here is a list of good sources: Fish especially Salmon, flaxseed, walnuts, soy and canola oil, pumpkin seeds, sunflower seeds and leafy green vegetables. 2. Turn down the heat. As I stated in the beginning, the heat in your home can be treacherous for your skin but that’s not where it stops. Your car is another place where heat can be very hard on the skin. Many people like to aim the hot air vents directly onto their face especially on a very cold day. Fight the urge to do this since the prolonged exposure to heat (or cold) can cause capillaries to break down and if the exposure is repeated enough it can lead to skin conditions like Rosacea. Use your floor vents, heat rises anyway and it wont take long to heat the whole car. Another place to keep the heat down is in your shower or bath. Staying in the concentrated water of a shower or bath that is too hot and too long can rupture the lipid barrier and severely reduce the moisture in your skin. Instead, use warm water and limit the amount of time you stay in. 3. Bring in the humidity. A humidifier will restore moisture to the dry air that your heating system leaves you with. Several placed around your home will have the best effect but placing one in the areas you spend the most time, like next to your bed, will make a difference too. If you can stand how funny it looks, placing bowls of water around the house can produce a little moisture in the air as the water evaporates. 4. Increase moisturization. People with all skin types, even oily, may find that they need to increase the amount and type of moisturizer they use. A thicker, oil-based moisturizer especially at night will help to combat dry winter skin, just make sure that the product is non-comedogenic meaning that it will not clog pores. Also, in certain climates you need to watch out for products containing humectants which pull water out of one side and give it to the other. If there is no moisture in the air they will pull it out of the skin and it will evaporate off. Humectants work better in a humid climate. 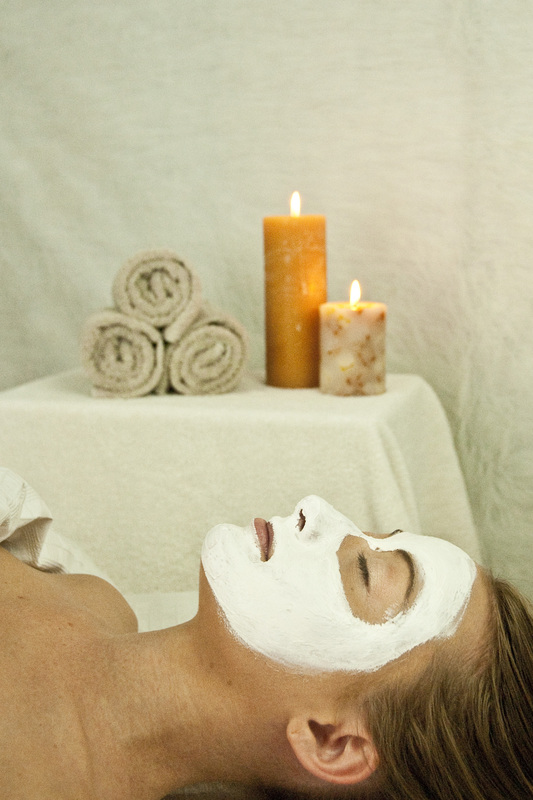 If you need an extra kick, a moisturizing mask can intensify hydration and help your skin perform better. Following even a few of these tips will leave you with healthy and hydrated skin all season long. Consult your Aesthetician or Dermatologist for any persistent problems and remember that even though the days are shorter, the suns rays are just as dangerous so don’t forget to wear SPF every day. During the course of a Facial or Massage treatment, I have some clients ask me if a mark on their skin could be Skin Cancer. My simple answer is always “When in doubt, see your Dermatologist!” A visit with a Dermatologist is something we should all be doing once a year anyway, especially if you have fair skin or have had a severe burn at any time in your life. Prepare for your visit by noting any moles, bumps, tags or any marks on the skin that you would like to make sure get diagnosed by your doctor. If you choose to have elective removal of something from your skin for vanity reasons or to prevent it from becoming cancerous, your Dermatologist can usually burn it off with nitrogen with little to no scar. However, if something looks suspect, you should have it cut or scraped off to be biopsied. More often than not it will turn out to be nothing but there is no harm in being safe and finding out. Pre- Cancers and Cancers caught in the beginning stages are much easier to treat and have higher survival rates. When monitoring existing moles and growths on the skin, a good rule of thumb is to follow the ABC’s of Skin Cancer. A is for Asymmetry – If one side is not equal to the other this is a very suspicious sign. B is for Border – If a mole’s border is irregular, it is more likely to be Cancerous or Pre-Cancerous. C is for Color – A variation in the color of the mole is cause for concern. D is for Diameter – Any mole or growth that is greater in size than a pencil eraser should be considered suspicious. E is for Elevation – Be suspicious when a mole or growth is elevated or raised from the skin. E also stands for Evolution – Keep a close eye on all moles and growths because they can change or evolve over time and these changes can be cause for concern. Play it safe and have anything that is questionable examined by your M.D. Your best defense is to perform self checks on a regular basis and to be aware of changes in your skin. Massage has been around since before recorded history, in fact, it has been revealed that Julius Caesar received a massage every day. People throughout history knew that massage not only felt good but promoted healing in the body. Since the boom of the spa, massage and bodywork have been misunderstood as privileges of the rich and elite. The fact is that massage is a necessity to all people for health and balance. Massage for health and well-being has become increasingly popular and is even offered in some medical clinics. Since research shows that even occasional massage provides a whole slew of benefits to health, it’s great to have so many massage modalities to choose from. Here are a few of the most popular explained. Swedish – This term is a bit of a misnomer since massage was not invented by a Swede nor was is developed in Sweden. Nevertheless, this massage technique is the basis for Massage Therapy today. Swedish Massage is delivered to muscles soft tissue with strokes known as effleurage, petrissage, frictions and tapotement. The therapists hands will deliver soothing oil or lotion to the skin which can be un-scented or lightly scented also called an Aromatherapy Massage. All massage movements will be performed inward toward the heart to stimulate circulation and detoxification. Benefits include: relaxation, stress reduction, improved circulation, speed up healing of injuries, reduce swelling and help dissolve scar tissue. Deep Tissue – Often used in addition to other massage modalities, deep tissue and trigger point therapy allow the therapist to work tissue in the sub-layers of muscles and deeper connective tissue called fascia. A deep pressure is applied to the muscles by the therapists hands, forearms and elbows either with oil or lotion or to bare skin to provide better leverage. Benefits include: reduction in chronic muscular pain, injury rehabilitation, increased range of motion and reduction of pain caused by arthritis and tendonitis. Sports Massage – While it was designed to help athletes perform better and recover faster, the average participant of an active lifestyle will benefit from this kind of massage treatment. A Sports Massage is very helpful after an intense workout to relieve stiffness and sore muscles and to reduce recovery time after a big event. It’s also helpful before and while training for a big event such as a triathlon to bring blood to critical parts of the body and loosen muscles. Sports Massage typically focuses on a specific area or muscle group but can be performed as a full body treatment incorporating stretches and resistance. Benefits include: increased flexibility, faster recovery time after muscle exertion and faster recovery time from injuries. Stone Massage – Usually performed with hot stones, this massage treatment, like a hot bath, will sooth not only your mind but the heat will penetrate deep into your muscles. Stones will be massaged over the body as well as placed on the body to produce a grounding effect. While the heat from the stones produce a profound relaxing effect for the muscles, the stones themselves have an exfoliating quality that will leave the skin soft and glowing as well. Benefits include: decreased stress and anxiety, pain relief and increased circulation. Lomi Lomi (Hawaiian Massage) – In this form of sacred massage, the body is treated as a whole and not a piece at a time. Unlike traditional massage where each body part is treated separately, a stroke during a Lomi Lomi treatment can start at the tip of a finger and run the entire length of the body and end at the tip of a toe. The Massage Therapist will use energy and breath along with long rhythmic strokes known as runs over the entire body to produce a profound relaxing and meditative state. Because the therapist has no set pattern, the massage is free to flow and your mind will in turn free itself from thought and anticipation of the next move. Your consciousness will transcend to a state of floating like on the ocean tides that surround the islands that inspired this beautiful massage. Benefits include: deep relaxation, improved circulation and the opportunity for personal meditative growth. Pregnancy Massage – This is a highly specialized Swedish Massage treatment and mothers-to-be can greatly benefit from its soothing supportive effects. The Certified Pregnancy Massage Therapist will focus on areas most affected by the changes in the body brought about by this very special time, mainly the neck shoulders, lower back and feet. An assortment of pillows, supports and bolsters will be used to make sure that mother and baby will receive very safe healing and relaxing benefits from the massage treatment. The beneficial relaxation chemicals released by the mother will flow to the baby and promote relaxation and ease his or her state. It also helps to promote hormone balance in the mother regulating stress and mood chemistry. Benefits include: pain and discomfort relief, relaxation, increased circulation and hormonal balance. Chair Massage – When I say chair massage, I am not referring to the electric varieties that you plug into the wall. A Chair Massage is a brief massage performed by a Licensed Massage Therapist on a fully clothed client in a seated position. Chair Massage can incorporate petrissage, wringing, squeezing, compression, stretching and tapotement and can very effectively relax and re-energize the client whether they are sitting in the office or in the mall. Chair Massage is very popular in the work place and can improve employee morale. In recent years it has even traveled to places such as air ports, poker tournaments and even casinos. In general a chair massage treatment is performed for 5 – 30 minutes and has become very popular due to its convenience. Benefits include: improved flexibility, relaxation, renewed energy and increased circulation. Now that you know all of the wonderful opportunities and benefits a massage can provide, decide which one is right for you and call your Massage Therapist today. 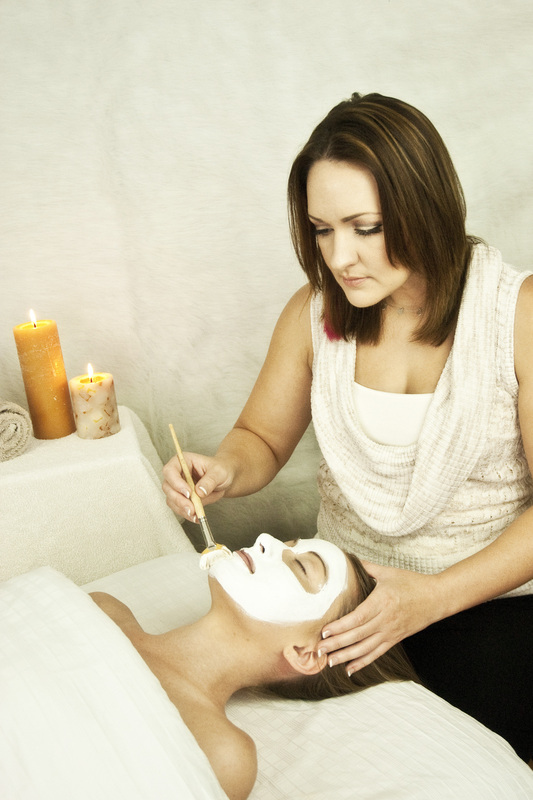 A professional facial consists of 6 basic steps; cleansing, steam/exfoliation, extraction/high frequency, massage, mask and hydration. While it is true that there are certain aspects of a facial that are just as easily performed at home in your bathroom sink, the main reason a professional facial treatment is so important is the 3 middle steps; exfoliation, extraction and massage. There are exfoliation creams and scrubs that can be used at home (and should be on a regular basis), but your Aesthetician has access to exfoliant products that can get much more effective results and in some cases drastically speed up the rate of cell turn over. Enzymes, acids of varying levels and micro-dermabrasion are just a few forms of exfoliation available from your Aesthetician during a professional facial. For those with any kind of blockage in the pores, professional extraction is extremely important to keep the pores clean and functioning properly. A skilled Aesthetician will remove pore blockages such as comodones (black heads), milia (hard white bumps) and pimples (white heads) without causing harm to the surrounding tissue. High Frequency which is a very low electric current can then be used to kill bacteria in the recently extracted pore and also kill bacteria under the skin that can cause new pimples, cysts and boils. High frequency also stimulates circulation and promotes growth of collagen and elastin. 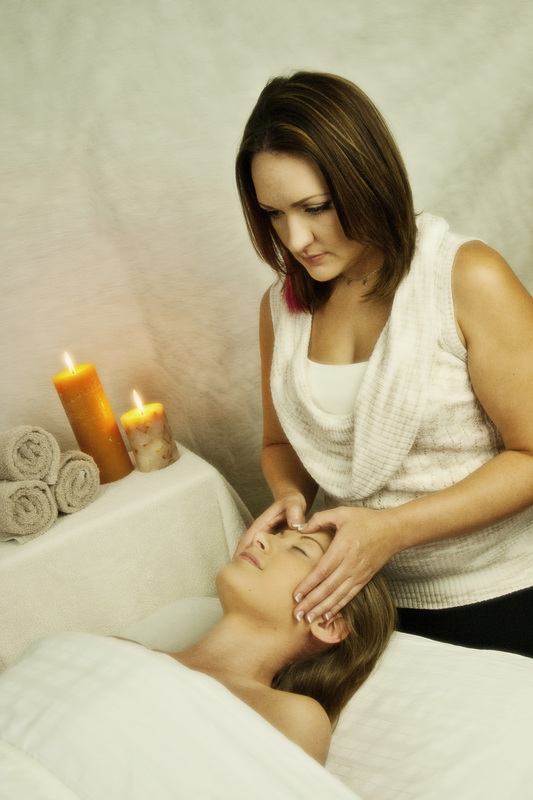 Facial massage is also a very important step as it stimulates circulation and helps to improve elasticity. 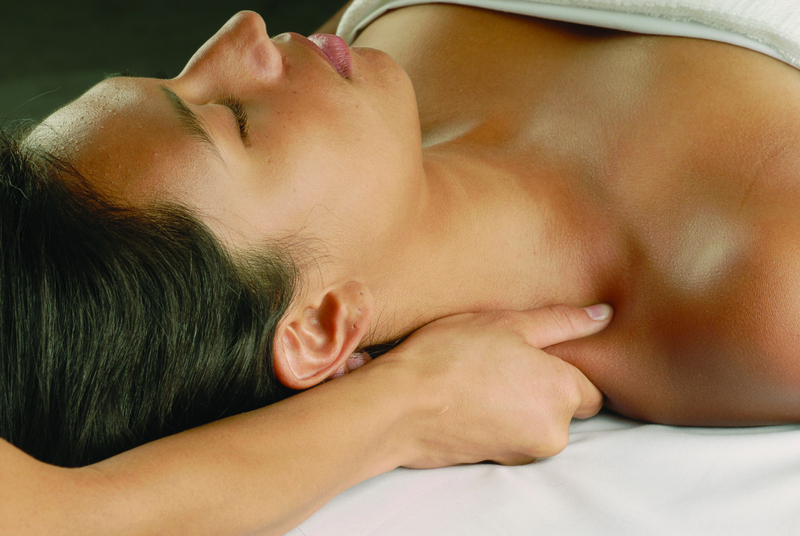 Lymphatic massage can also help with detoxification and ease sinus pressure. Skin tone can also be improved with facial massage while relaxing facial tension that can cause wrinkles. With proper home maintenance, a monthly professional facial treatment will keep your skin looking youthful, healthy and bright. Call your Aesthetician today.